Sam Fox is on a field trip with his uncle in the Amazon, when he's swept over a waterfall and lands in an underground lake. There he discovers a fortune in gold. He's rich! But things aren't that simple. There's an enormous anaconda lurking in the cave, and that's just the first ... read full description below. Sam Fox is on a field trip with his uncle in the Amazon, when he's swept over a waterfall and lands in an underground lake. There he discovers a fortune in gold. He's rich! But things aren't that simple. 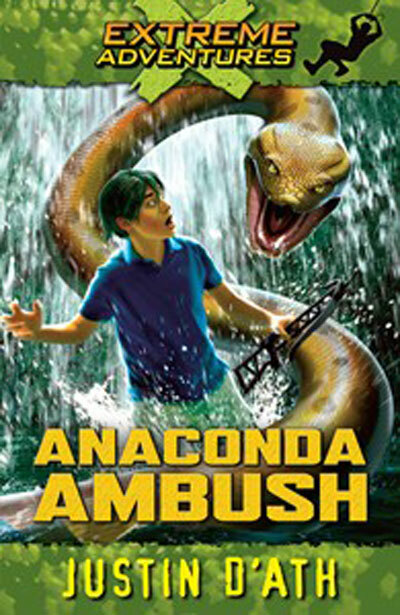 There's an enormous anaconda lurking in the cave, and that's just the first obstacle Sam will have to overcome!